A/N: 858 Earth days have passed since chapter 1. It's September, 2154. Pushing the strange sensation aside, Jon jumped down from the transporter pad and eagerly accepted Travis' outstretched hand, wincing only slightly at his former helmsman's grip as they shook hands. Lieutenant Commander Mayweather's grin was nearly as wide as Jon's and Archer knew that the two of them had to look like idiots to Soval who slowly stepped off the transporter himself, an expression of calm resoluteness on his face. Right now, though, Jon couldn't care less. His friends were alive! "Good to see you, Travis," he said as he shook his former helmsman's hand. "I hope Erika is treating you right." "There's a high learning curve, sir," Travis replied quickly, "but she hasn't fired me yet so I guess I'm doing okay." He nodded to Soval. "Ambassador, it is agreeable to see you," he added in slow, halting Vulcan, the use of which caused Soval to lift an eyebrow. "You guys must have redlined Enterprise's engines to get here so fast," Travis continued as he gestured for them to follow him. "Guilty as charged," Jon replied. He was about to remark about how Taylor hadn't budged from engineering since they received Challenger's message, but the intraship crackled. "Security team bravo to sickbay!" Even before Jon could ask what that was about, Travis was in motion. The former helmsman spun and sprinted away, rounding a corner and vanishing down a corridor with a speed that Jon didn't think he'd been capable of twenty years ago let alone now. Exchanging a quick, confused look with Soval, Archer pursued, albeit at a much slower pace. By the time he and Soval reached sickbay, the security team in question was already there, arrayed in an unmistakably aggressive posture outside the main entrance. Jon recognized Lieutenant Chang of the MACOs as well as the Vulcan doctor that Phlox had recommended for Challenger, but he wisely kept his mouth shut as he drew closer. "And that's when he barricaded sickbay," Chang was saying to a scowling Mayweather. "Perhaps in the future," Doctor Yuris added coldly, "you will reconsider using heavily armed soldiers to transport traumatized patients." Chang rounded on the Vulcan, his expression fierce, but Travis interrupted whatever he was about to say. "Enough." The order was obeyed instantly – and when, Jon wondered, had his former helmsman learned that trick? Hell, Archer still struggled with getting recalcitrant officers to shut up at times. "How did he get a rifle? Those are only supposed to work if your thumbprint is in the system." "The commander circumvented the biometrics in under ten seconds," Chang replied. He pursed his lips. "I'd like to know how he did that, actually. I didn't think it was possible." Trip. They were talking about Trip. Jon inhaled sharply. What the hell happened? "My team is ready, XO," the MACO lieutenant said. "We can assault in and stun him." "No." Yuris' face could have been carved from granite for all of the emotion he was showing. "Stunning the commander could have seriously detrimental effects at this time." "And he already took down three of your guys before he was armed," Travis added. He glanced in Jon's direction and straightened abruptly, even as an all-too familiar presence drew closer. "Can someone tell me why I have my security chief trying to talk my first officer into storming my sickbay?" Erika demanded. Ambassador V'Lar stood calmly at her side, watching everything with open curiosity. Travis made a face. "Commander Tucker." He jerked his head toward the door. "He woke up and … well, he took out a couple of MACOs and seized sickbay." Jon blinked. Trip did that? "I do not believe the commander is entirely aware of his surroundings," the doctor stated. "His prime objective appears to be defense of Subcommander T'Pol who remains heavily sedated." That statement caused Soval to stiffen slightly as well as tickle the lingering after-effects of Surak still in Jon's brain. It was important somehow, but he thrust it aside and let his subconscious chew on whatever it was. "When the commander woke, he was surrounded by armed personnel in an unfamiliar environment. It is not illogical to presume that he is confused." "Not that confused," Chang retorted. "He incapacitated three of my troopers and locked us out of sickbay!" "Providing we do not make hostile moves against him," Yuris added, "I do not believe he is a further threat." He frowned slightly. "And yes, Captain Hernandez," he said. "That is my professional opinion." "He is … defending the subcommander?" Soval asked abruptly. "You are absolutely certain about this?" The two Vulcans locked eyes and Jon could see the doctor visibly hesitate, especially when V'Lar also tensed. As a veteran of dealing with Vulcan secrets, Archer recognized the subtext immediately – there was something cultural going on, something that Soval was not comfortable expressing in front of humans. "I am." Yuris straightened under the two ambassadors' gaze. "He has taken no offensive actions once assured that she is in no danger." Two eyebrows climbed – Soval and V'Lar – and Yuris countered with an identical gesture. "We could pump some sleeping gas into sickbay," Chang said suddenly. "That way, we won't have to breach." "Doing so might be construed as an aggressive action," the doctor stated flatly, his tone bordering on irritated. "He is defending his … Subcommander T'Pol. Move against her in any fashion and he will retaliate." The two fell to further bickering, with Travis moderating (and sometimes interjecting to prevent open hostilities), as Soval and V'Lar stepped aside to converse in voices pitched too low for anyone else to hear. Jon gave Erika a look and she returned it with a slight shrug. This certainly was not how he'd expected the reunion to play out. Dammit, he wanted to see his friends! "Don't worry," Erika murmured softly. "Everything will be okay." "I'm going to hold you to that," Jon replied. He watched the Chang-Yuris argument for a moment longer – the two men seemed to legitimately dislike one another for some reason – and frowned again when V'Lar stepped closer. "I have a theory," the ambassador said. Her words cut off Yuris in mid-sentence and he gave her a respectful nod. "Vulcans are touch-telepaths," she began, the remark causing several of the MACOs to give her surprised looks though Jon already knew this. "In times of extreme duress, an injured Vulcan may exceed these limits and reach out telepathically for assistance." "And you think this is what is happening?" Jon asked. Erika gave him a wordless look – this was her ship, after all; she should be the ones asking the questions, not him – but otherwise barely reacted. "It is logical to presume that the subcommander has sought out the mind most familiar to her," V'Lar said by way of an answer. "If this is the case, then your Commander Tucker is standing proxy for her nearest blood relative or spouse." "So what do we do then?" This time, it was Travis who earned Erika's disapproving scowl and he replied with a sheepish half-shrug. The sickbay door hissed open. Soval was through it before anyone could react – only V'Lar seemed unsurprised, which prompted Jon to suspect some collusion on her part – and the ambassador paused at the door to manually lock it down once more. He then turned away, clasping both hands together at the small of his back. And then, he waited. Trip rose up into view a moment later. From his vantage point, Jon had a clear line of sight and what he saw shocked him. Tucker was shirtless at the moment and his torso was decorated with a handful of new scars, including some positively vicious-looking ones that looked to have come from a wild animal of some sort. Never a particularly imposing man, Trip was now on the low end of thin, as if he'd been forced to go hungry for far too long. Still, despite that, the muscles in his upper body were tight and clearly defined. His face was mostly the same if thinner, even if his hair was a little longer than Jon ever recalled seeing it and he desperately needed a shave. Tucker's eyes were different, though. Harder, colder, not to mention much, much older. "Greetings, Commander," Soval said in Vulcan. Slowly, he raised one arm – Trip's aim with the MACO rifle never wavered in the slightest – and he offered the ta'al salute. "It is agreeable to see you again." The ambassador took a half-step forward, freezing when Trip shifted very slightly. From where he stood, Jon couldn't see why, but the MACOs around him tensed. "You know who I am," Soval said. "I will not, by action or inaction, allow harm to come to Subcommander T'Pol." "Stand ready for assault," Chang murmured. "If he drops the ambassador, we're out of options." "Lieutenant," Doctor Yuris began but the MACO cut him off with a fierce gesture. "That weapon is set to kill, Doctor," he hissed. Jon's breath caught. "I am concerned about the subcommander's condition," Soval continued. He had not moved in the slightest and Archer knew he had to be at least a little worried, though no one could tell from his body language. "Will you allow me to examine her?" Another long moment passed. He lowered the weapon slightly, his hard gaze shifting from Soval to the door to sickbay, and Jon could feel the MACOs relax fractionally. Beside him, Ambassador V'Lar stirred slightly. "Fascinating," she murmured. Jon gave her a look and her eyebrow climbed slightly. "Your commander is likely barely conscious, Captain, but is aware enough to recognize that Ambassador Soval is not a threat." She tilted her head. "In this exact situation," she continued aloud, "a Vulcan male would likely be incapable of differentiating ally from threat." "And Soval walked in there knowing that?" Erika demanded, aghast. "Logic demanded it," Yuris stated flatly. Jon smirked. "Plus," he added, "Soval's crazy." They watched in rapt silence as the Vulcan ambassador crossed the distance to the biobed where T'Pol was stretched out and Jon grimaced at his first sight of his former first officer. If Trip was too thin, then T'Pol was positively gaunt. The clothes she wore hung loosely upon her tiny frame and, as he stared, Archer could see tremors shake her limbs. Long hair framed her elfin face, but no one could look at her and not think she was sick. It reminded him far too much of his father in the later stages of the Clarke's Syndrome. "Mister Tucker," Soval said, his voice still carrying, "I wish to initiate a brief diagnostic meld with Subcommander T'Pol to assess her situation." Trip's head snapped around to pin the ambassador with a look and, for the first time since entering sickbay, Soval spoke softly, his words pitched only for Tucker's ears. Whatever he said, it was adequate as Trip nodded tightly. The Vulcan leaned over T'Pol, touching her face with the fingers of his right hand. And a moment later, Trip collapsed. The MACOs flooded into sickbay almost before Jon realized what happened but froze in place at a single, harsh command from Travis. He strode in behind them, gesturing quickly in the direction of the three soldiers lying on the floor on the far end of sickbay – the ones that Trip evidently 'incapacitated,' Jon realized – and to Archer's surprise, Lieutenant Chang's men obeyed the instruction. "You are capable of treating her condition?" Soval was asking Yuris in their native tongue when Jon drew closer. He pursed his lips at the sight of Trip, now deeply unconscious and on another nearby biobed thanks to Travis. "I am." The doctor glanced at the number of personnel present and scowled. Without showing much emotion, of course. "Everyone not undergoing treatment is to exit my medical facility immediately." "Two of my men will remain here for support," Chang began. "Absolutely not." Yuris turned his back on the MACO. "If this goes south again, we need people in place to deal with this." "I will not have armed personnel in my place of healing," Yuris snapped. Chang gave the Vulcan a glare. "Enough." Once again, Travis spoke up, his voice firm and unyielding. "Two armed security personnel outside sickbay," he instructed. "They will not enter unless there is a clear and present danger to the doctor or any of his patients." Both Chang and Yuris looked displeased but they nodded. "Make it happen," Travis ordered. "Shouldn't you be the one barking out orders?" Jon asked Erika softly. She smirked. "Oh, hell no," she replied. "I leave dealing with MACOs to Travis. For some reason, they actually listen to him." She stepped closer to the biobed Trip was on. "Damn, he looks terrible." Jon had to agree. Up close, the scars on Trip's torso looked even worse. How had he even survived the animal attack? "How are they, Doctor?" he asked. Yuris gave him the flat, irritated look that had to be a species-wide trait. 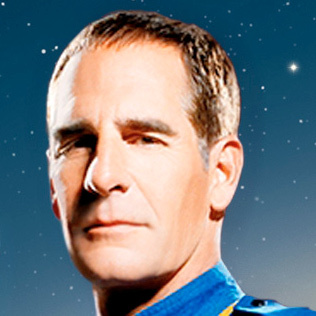 "I will know more when my medical facility is not filled with distractions, Captain Archer," the Vulcan said crossly. "That's our cue," Erika said. "Keep me updated, Doc," she instructed as she turned toward the exit. For a moment, Jon lingered, wanting to stay until his friends woke, but he grudgingly followed. "They're alive," Travis said with a broad grin that Jon immediately returned. He glanced back, eager to see his friends again, but instead, he saw only the three unconscious MACOs being manhandled onto biobeds. Trip and T'Pol were alive.